I am currently working on two paintings – a figurative painting of a young girl at a lazy afternoon and another Hydrangea painting on Aquabord – both in watercolor. I will post a WIP of them when there is something to show. So long I am just wishing you all a wonderful friday with this Orange Rose. 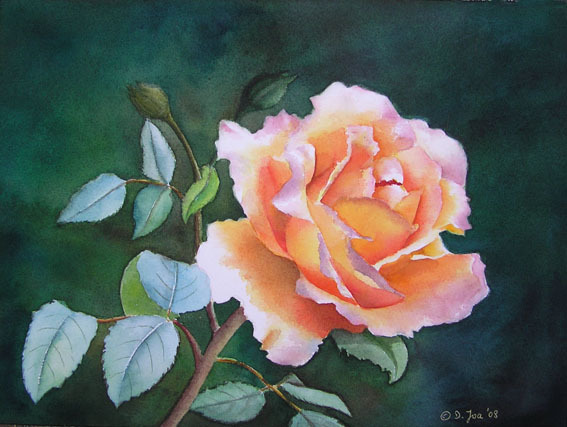 This is a Watercolor Painting and size is 10″x12″, painted on coldpressed paper.